Are U.S. military and civilian computer systems safe? 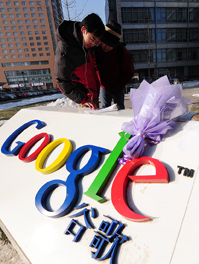 The recent attacks on Google servers, apparently launched from China, underscore the threat cyberattacks pose to American individuals and businesses as well as to national security. In addition to billions of dollars being stolen by cybercriminals, military secrets and critical civilian infrastructure — including utilities, transportation and finance — also are at risk. Indeed, attempted attacks on Pentagon computers alone number in the tens of thousands each year. The hackers range from international gangs to the agents of other countries. Lawmakers and cybersecurity analysts agree the U.S. is woefully unprepared to deal with the challenge. Civilian and military leaders say they are ramping up defensive efforts, but many experts warn that the measures proposed are inadequate. Some analysts argue that to counter the threat the United States will not only have to spend hundreds of billions of dollars but also fundamentally change the way Americans work with computers and the Internet.